Briggs & Stratton generators feature powerful engines that generate enough power to meet your power requirements at home, on a job site or for recreational purposes. And that is still the case with the lightweight P2200 PowerSmart Series. 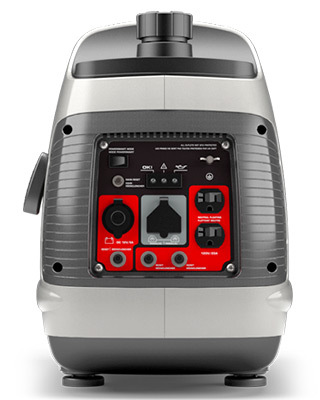 It’s an ideal portable generator for camping, tailgating, and light residential power backup needs. In light of the pros and cons that we will discuss in this Briggs & Stratton 30651 P2200 PowerSmart Series Inverter Generator Review, we will get to know this machines best uses. Biggs & Stratton is one of the leading power equipment manufacturers with over 100 years in the game. They are known for their innovative products that are built to last. Located in North America, Briggs and Stratton have service centers located in almost every state, to ensure that their customers can access professional repair services with ease when they need them. There are more than 3000 Briggs & Stratton service centers in North America alone and in excess of 30,000 service centers globally. You, therefore, have access to professional servicemen for your generator when it breaks down or when it is time for its scheduled maintenance. 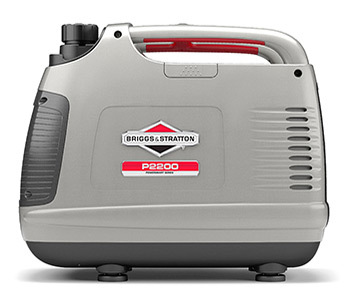 The Briggs & Stratton 30651 gas powered inverter generator, rated at 2200W starting wattage, and it delivers 1700W of power when it is running continuously. It employs the latest inverter technology to produce clean and stable power with less than 3% total harmonic distortion. It can effectively be used with delicate electronics, such as your DSLR camera, and smartphone. 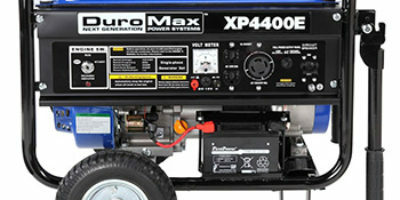 Run-time of this generator is 8 hours on a full tank at a quarter of the rated load. It’s auto-idle control feature, makes it fuel-efficient. Has a tank capacity of one gallon, and features a fuel gauge for effective monitoring of the generator’s fuel level. Weighs just 55 pounds, and features an H-style handled at the top of the machine. With a noise rating of 59dB at quarter load and 57dB when running on eco-mode, the P2200 PowerSmart Series, is quieter than most generators around. At this noise rating, you can comfortably hold a conversation with those around you. It comes with a parallel connection capability that allows you to connect two of such engines for double the power. Has a convenient control panel that has three outlets, and they are also equipped with circuit breakers protection, for efficient power utilization. It has two 120V household outlets, and one 12V DC outlet. Also has a USB adapter, a feature that other generators may lack. Low oil shutdown is another important feature, it ensures that the engine goes off when the level of oil gets too low. This protects the engine from damage. It is backed by a 2-year manufacturer’s warranty, and this protects your investment from damage, enabling you to enjoy using this generator for a very long time. The amount of power Briggs & Stratton 30651 P2200 PowerSmart Series produces is too little power to operate certain equipment. This limits the scope of its usage. It cannot run heavy power appliances unless you parallel it with another unit. It lacks an electric start. You can only get this engine to start with a pull cord. This can get tiring at times. Takes some time to start. May require more than 3 pulls of the recoil to start the engine. Oil in the generator may spill during shipment. Not CARB compliant, as a result, it’s not suitable for residents in California. It lacks wheels for added portability. You can acquire a wheel kit but at an extra cost. Lacks a smart LCD display. P2200 PowerSmart Series, with 2200 starting watts and 1700 continuous watts. P3000 PowerSmart Series, with 3000 starting watts and 2600 continuous watts. Briggs and Stratton are known for their excellent products, and it is no different with the P2200 PowerSmart Series. Portability is a key aspect to consider if you are to use a generator outdoors, and Briggs & Stratton have gone the extra mile to make the P2200 engine as light as possible. You can also power various appliances at the same time such as a TV, music system, lights, and charge your smartphone or tablet. In light of the Briggs & Stratton 30651 P2200 PowerSmart Series inverter generator review, it’s clear that this machine may not offer you all the power that you may need to operate heavy-duty appliances and power tools, but it comes with a parallel connection capability that allows you to connect two of such engines for double the power. The rule in generator connection has always been to pair generators with the same power rating. This generator, however, allows you to connect in parallel two ‘mismatch’ generators such as the P2200 unit and the P3000 gen-set for more power. To my knowledge, this ability is unique with Briggs & Stratton generators alone. Warranty registration can be done from this link. Overall, this inverter generator is quite affordable when compared to other generators of the same power rating and this makes it a cost-effective option for your camping, tailgating or home backup power needs. You can check our top generators comparison to view the complete list. Briggs & Stratton 30651 P2200 PowerSmart Series inverter generator is lightweight, and is ideal for camping, tailgating and light residential power backup needs.